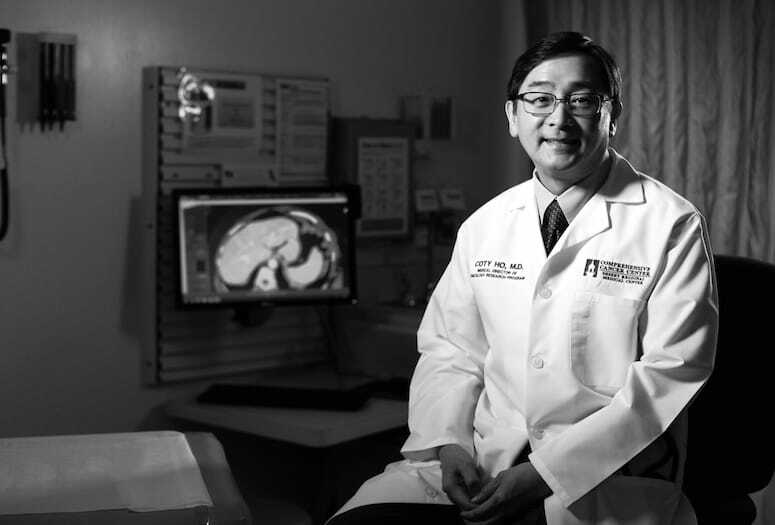 Coty P. Ho, M.D., Desert Regional Comprehensive Cancer Center. In addition to a medical oncologist like Ho, who can coordinate a patient’s overall care, handle the chemotherapy regimen, and manage long-term goals, patients at Desert Regional’s Comprehensive Cancer Center have access to a radiation oncologist, a surgical oncologist, and pathologists. “Everybody gets together to discuss the case and what we think would be the best approach to help the patient,” says Ho, adding that social workers and nutritionists often get involved too. VIDEO: Dr. Coty Ho talks about his passion for cancer research.